I love pancakes and bacon. 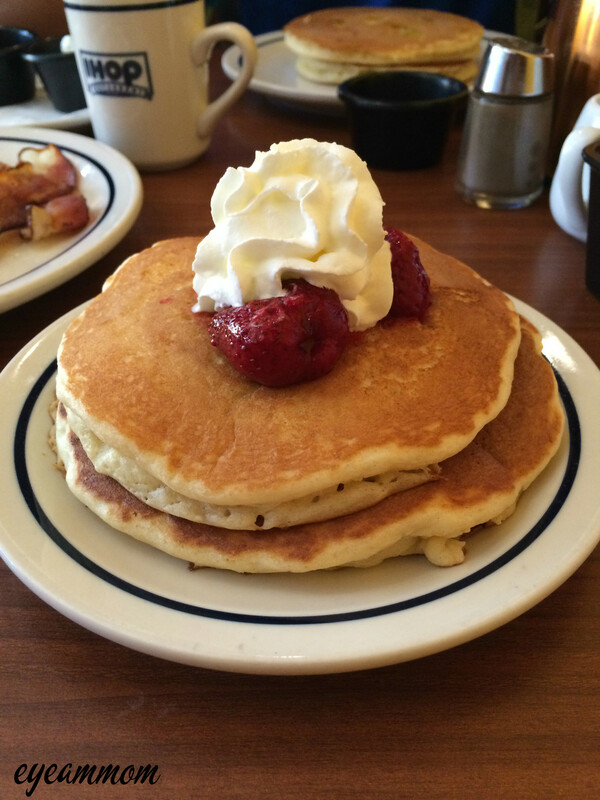 But I can’t seem to find a restaurant that makes pancakes the way I like them – fluffy and light. So I try pancakes in different places. 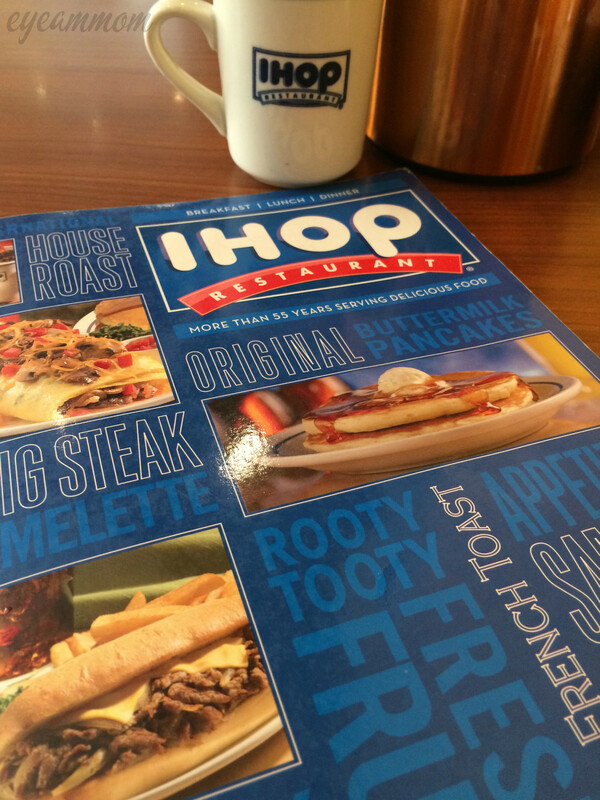 Today, we went to IHOP for breakfast. 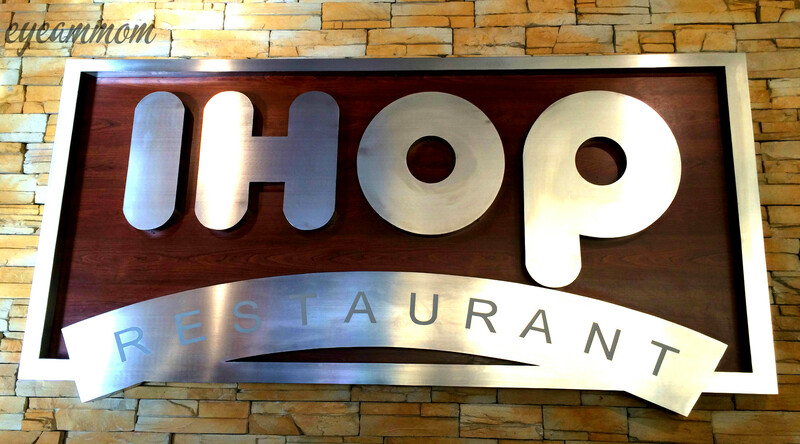 IHOP stands for “International House of Pancakes”. I thought that my search for good pancakes would be over. We went to the UP Town Center branch on this papal visit holiday. The other establishments were closed but IHOP was open for business. There were very few people when we arrived a little before 8:00 am. I had a hard time choosing what to order because everything looked delicious. I was tempted to go with their sandwiches, but I thought I’d try their specialty – pancakes. I ordered the Rooty Tooty Fresh ‘N Fruity Combo. It was described as “two buttermilk pancakes crowned with whipped topping and topped with your choice of cool strawberry topping, warm blueberry or cinnamon apple compote, served with two eggs, two bacon strips and two pork sausage links”. It was a lot, but one egg would go to my daughter while the other egg and the sausage links would go to my husband. It took a while for our food to be served. By then more people had arrived and the place was getting crowded. Well, maybe it was because the tables are placed quite closely together. While waiting, I noticed the syrup selection on the table. 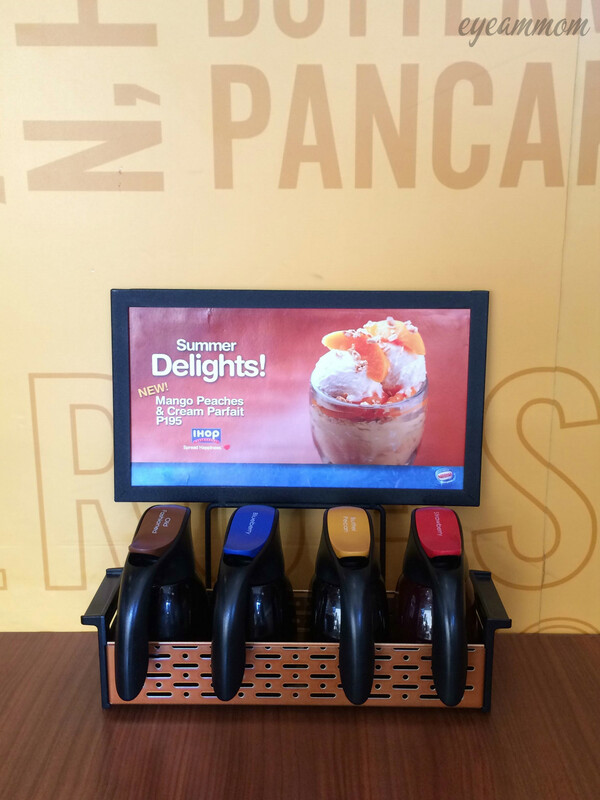 There are 4 bottles of syrup on each table – old fashioned, blueberry, butter pecan and strawberry. I tried the butter pecan but found it too “buttery” so I went with the old fashioned. The presentation was okay, although I would have liked the plate to be bigger. The pancakes were fluffy alright, but too flaky. They crumble easily. I was disappointed that my quest for good pancakes has not ended. The other things that my family ordered were okay. The kids liked their crepe and waffles. Bacon and sausages were okay too. Coffee was refillable. Service today was poor, especially when more people started coming in. 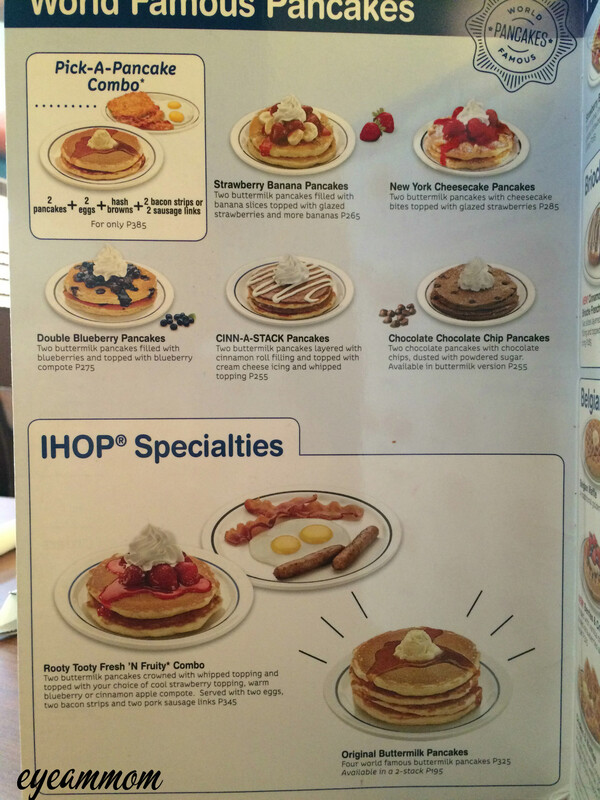 I wasn’t too happy with my choice but I am willing to give IHOP another try. Maybe I’ll have the omelette next time. This entry was posted in Food, Life in the Metro and tagged breakfast, IHOP, pancakes, UP Town Center. Bookmark the permalink.